It’s tempting to sign up for quick-and-easy payment aggregators like Stripe, but for high-risk merchants, these platforms could put them out of business for good. 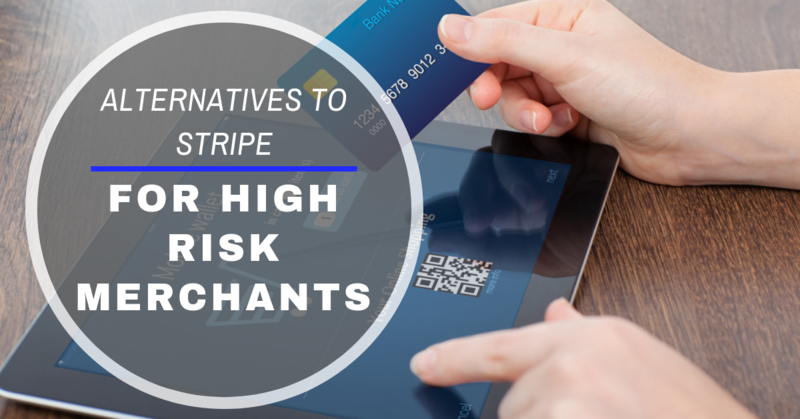 Businesses should consider Stripe alternatives for their merchant accounts. Companies like Stripe come with a huge draw because they’re easy for customers to use and come with slick digital options. Simplified online payments, stylized user interfaces, and low fees mean that in theory, they deliver everything merchants could want. Other features to love include no early termination fees, quick payouts, and the option to export customer data if you decide to leave. For businesses who prefer flexibility, no monthly fees, and are willing to work with a single aggregator, aggregators could be a good choice. But for those who need stability from their processor, third-party payment providers come with higher costs. The downside is that payment aggregators like Stripe can’t offer the same stability as traditional merchant accounts. With instant access to processing, they don’t put businesses through a rigorous risk assessment before approving them. While that might sound like a get-out-of-jail-free card, it can be extremely damaging. It’s not that payment aggregators never assess your business’ level of risk, they just don’t get to it until after you start accepting payments on their platform. Sometimes months after. This means that you can be signed up, approved, and processing payments right up until the day Stripe recognizes your business as high-risk and takes action. This can mean anything from sudden account terminations to withheld funds or payment reversals. A costly interruption, which can be irreversible. Are they allowed to do this? Yes, they are! Stripe’s term of service includes a provision that the company has the right to terminate your account or implement a hold if it deems your business “an unacceptable risk”. They don’t give an item-by-item list of what these “risks” might be. This is a common problem with payment aggregators which tends to lead to a high number of terminations. Traditional payments processors do their vetting in advance and offer more stability. Another common problem with payment aggregators is the security of online transactions and customer data. Merchants are responsible for protecting both, but not all payment aggregators have the systems in place to back them up. Stripe’s automatic algorithm identifies fraudulent transactions and flags them, but the system can generate false positives. While third-party payment platforms should support 3D Secure and the PCI Data Security Standard, not all of them do. Stripe does offer automatic PCI compliance but requires merchants to review and enable their own fraud monitoring features, or override declined transactions and rerun them. They also don’t refund processing fees, even for returns or refunds and charge a fee of $15 per chargeback. Payment aggregators like Stripe are known for a high volume of merchant complaints about having accounts shut down with no warning. Due to spotty customer service, some businesses may never know why their accounts were frozen or terminated. With chargebacks that they often can’t control or reverse, merchants may find it hard to protect the reputation of their businesses. And unfortunately, payment aggregators almost never handle chargebacks in their favor. Stripe alternatives like dedicated merchants accounts may come with more upfront costs, but make it up in stability and long-term savings. Specialized high-risk payment processors are the best option to guide merchants through the challenges of growing a high risk business. A quality merchant account provider will work with high-risk merchants to manage liabilities and process payments without penalties. They’ll also help you develop relationships with banks who are willing to work with high-risk businesses. Instead of making promises upfront, payment processors take your business through an in-depth risk assessment to determine your unique needs. They evaluate your type of business, length of time in business, chargeback ratio, MATCH list or Terminated Merchant File (TMF) standing and other factors. That assessment becomes the foundation of a long-term plan to help you maintain your merchant reputation and provide customers with the best service possible. MerchACT is a specialized high-risk payment processor with proven account experience. We offer a secure, seamless, end-to-end processing solution for all businesses, no matter what the risk. MerchACT ensures that you get stable, secure payment gateway up and running quickly so you can process payments without a qualm. We commit to making sure that your current business needs are met and our payments solution can help you scale up for future growth. Let’s talk.